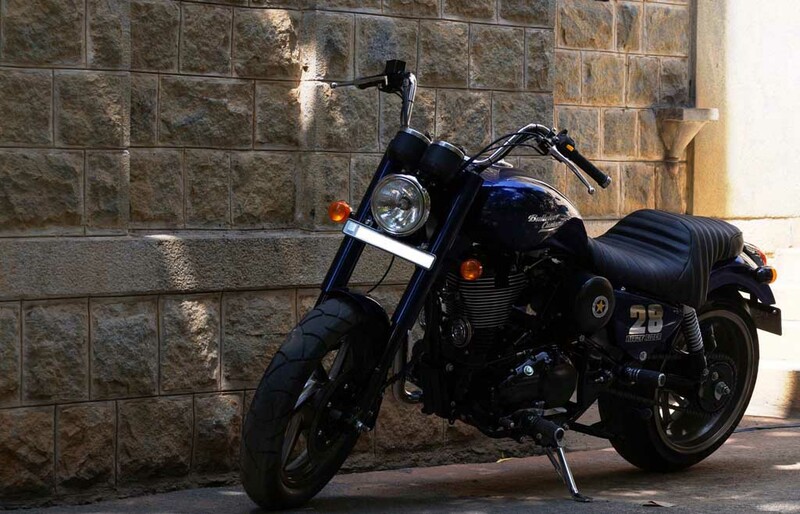 Royal Enfield is certainly the dream machine for those riders who want to enjoy the charm of the open road and rumbling exhaust. 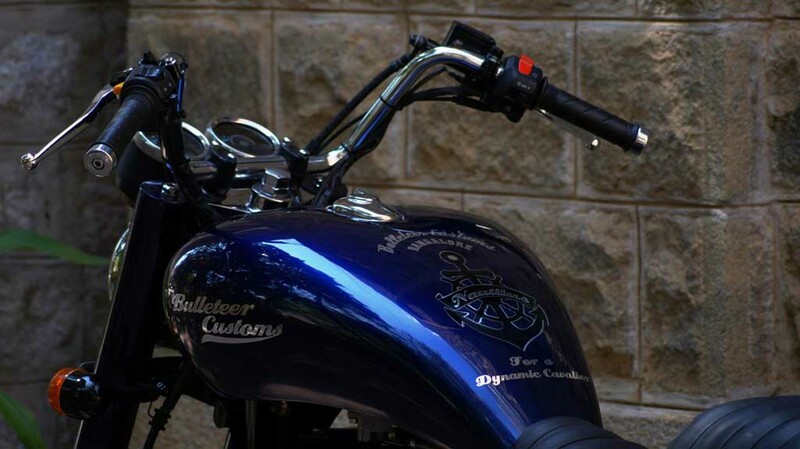 While most of the Royal Enfield lovers like the motorcycle as it is rolled out from factory, some give it a touch of personalization. 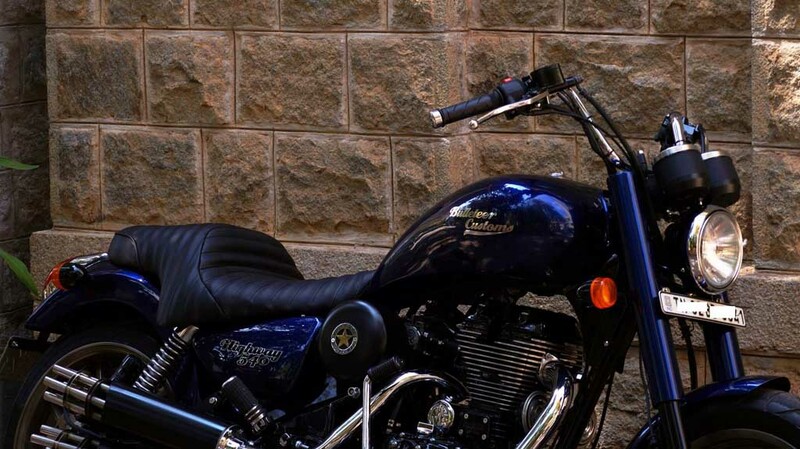 Here we have the Nautilus, a modified Royal Enfield Thunderbird 500 by Bengaluru based Bulleteer Customs. 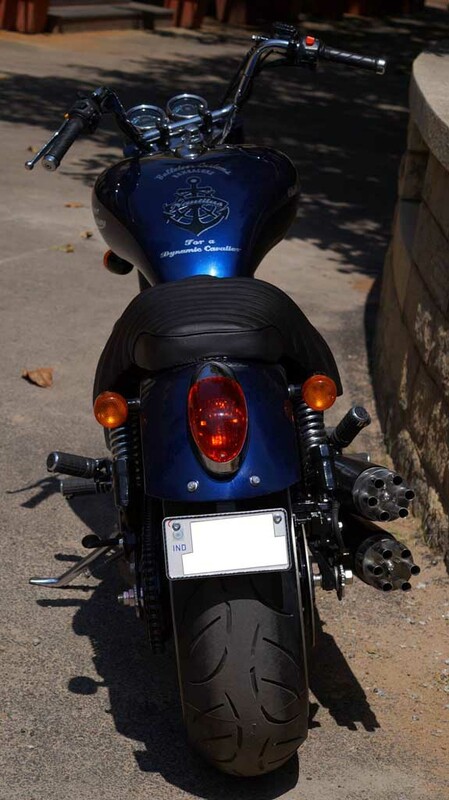 At the very first glance, the motorcycle grabs attention with its true blue cruiser appearance. 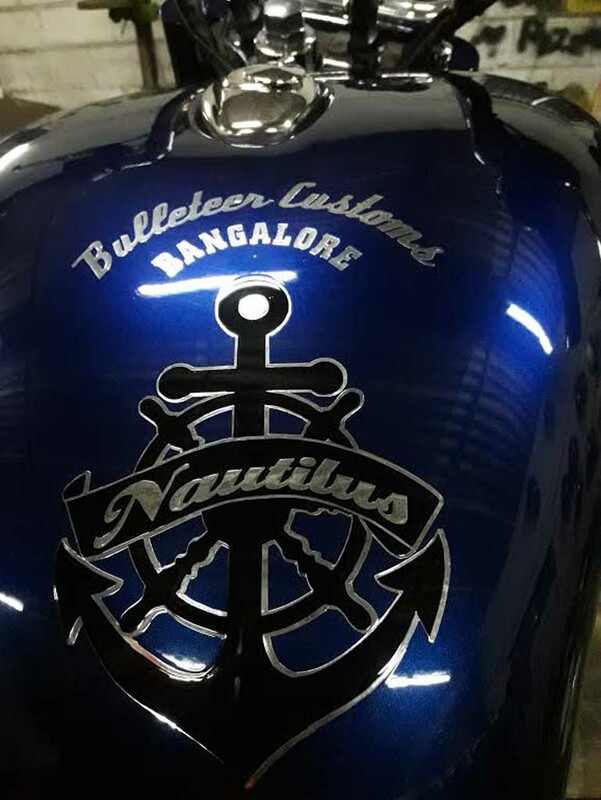 With this gorgeous looking motorcycle, the customisation studio has paid homage to Captain Nemo’s submarine ship, the Nautilus. 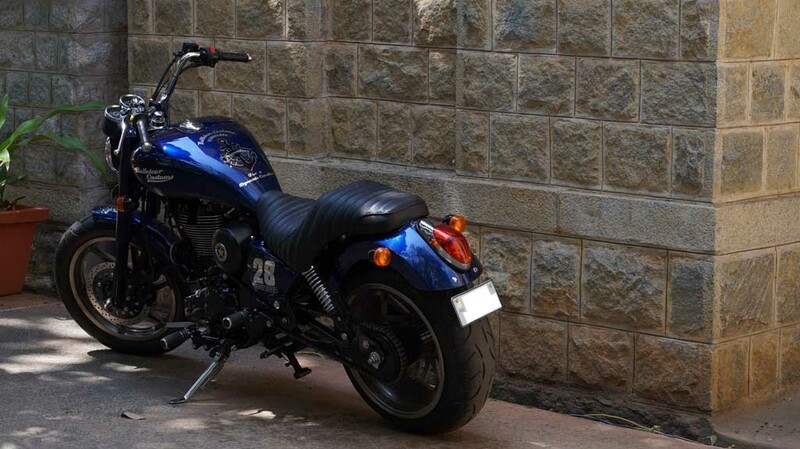 In terms of design, it appears similar to the Harley Davidson Fat Boy. The Nautilus comes with round shaped headlamp with chrome bezel and twin-pod instrument cluster. If you look closely, the difference between the headlamp zone and the regular model can be spotted. 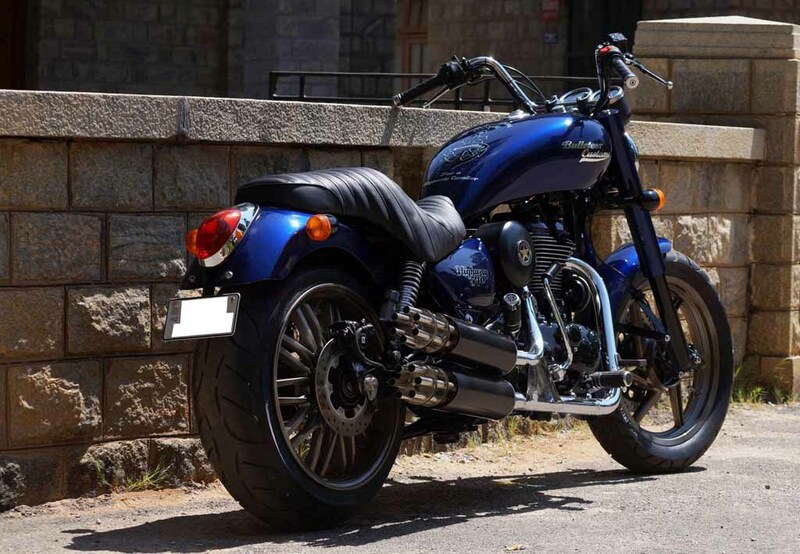 The fuel tank comes much wider and longer than the standard Thunderbird 500. The Nautilus appears much longer than the regular machine. 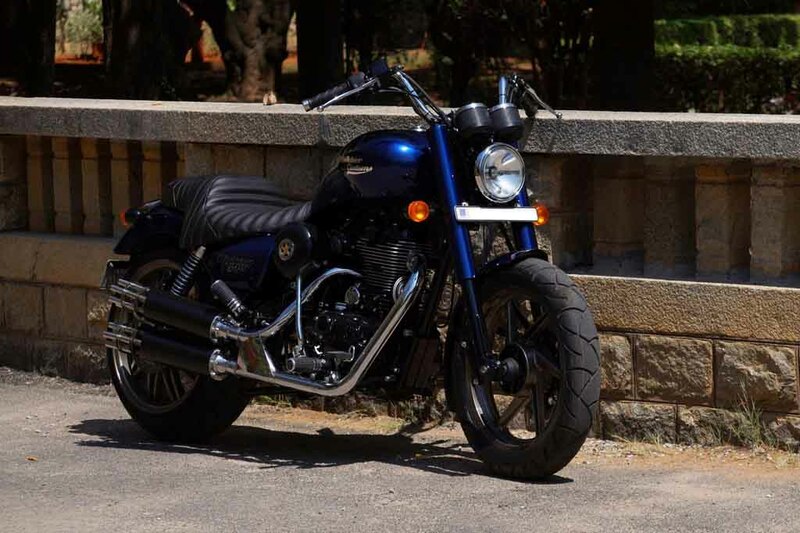 The seat of Nautilus is completely different than the split seats of the stock Royal Enfield Thunderbird 500. There is no backrest here, and the chrome garnishing around unique LED taillight enhance its appeal further. 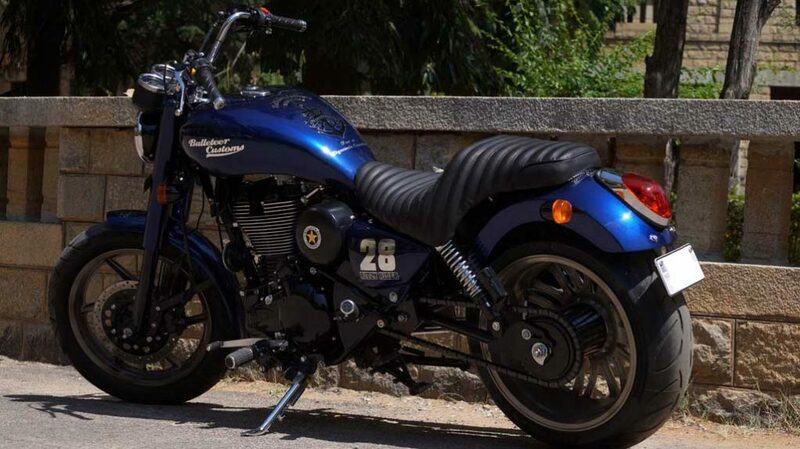 Painted in Blue, this model truly appeals the riders who love the charm of cruising. Another unique feature of the Nautilus is the dual Gatling gun exhaust. The tyres will surely intimidate you as well. The Nautilus runs on custom alloy wheels wrapped with wide and meaty 120 mm section tyre at the front and 190 mm section tyre at rear. Power source of the Nautilus is the same 499 cc single-cylinder, air-cooled, twin-spark engine paired with a 5-speed transmission. The engine is capable of churning 27.2 bhp of peak power at 5.250 rpm and 41.3 Nm of peak torque at 4,000 rpm.